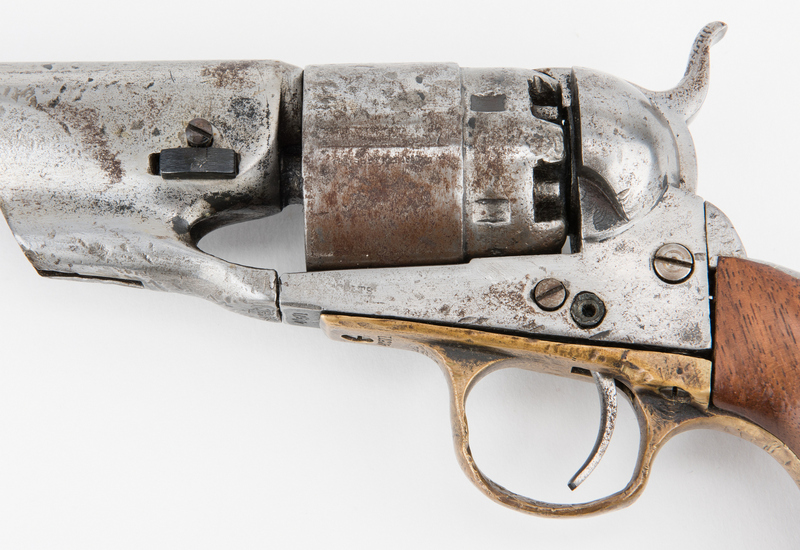 Two (2) mid 19th century hand guns, inc. Sharps, Colt. 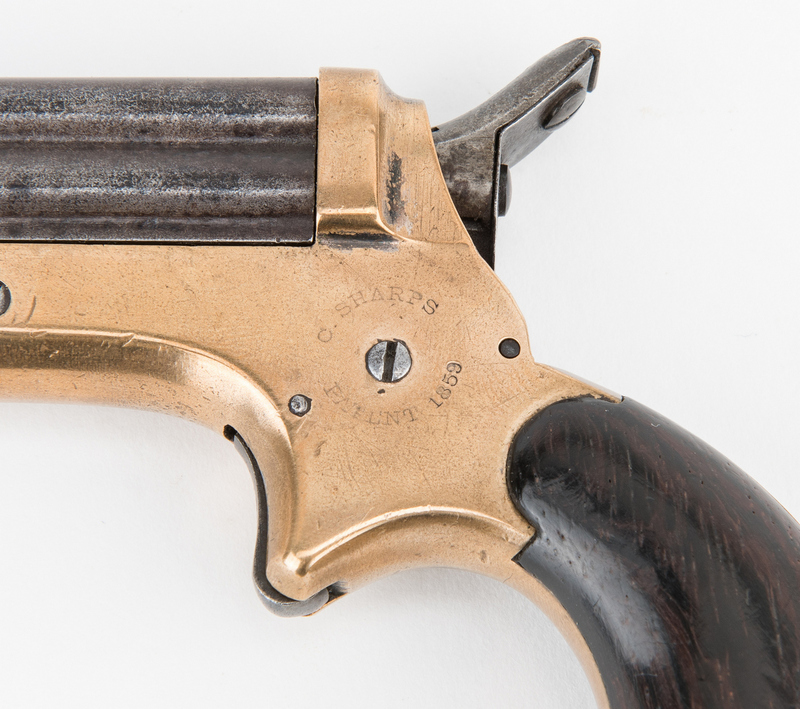 1st item: Sharps Four Barrel Pepperbox Pistol Derringer, .22 rimfire caliber, serial number 21826 (visible underside of back strap). Right side of frame marked "C. Sharps & Co Philada PA", left side of frame C. Sharps Patent 1859". Walnut stocks, round four barrel cluster, brass frame, button trigger, checkered hammer, standard sight. Barrels length – 2 1/2". Overall length – 5". 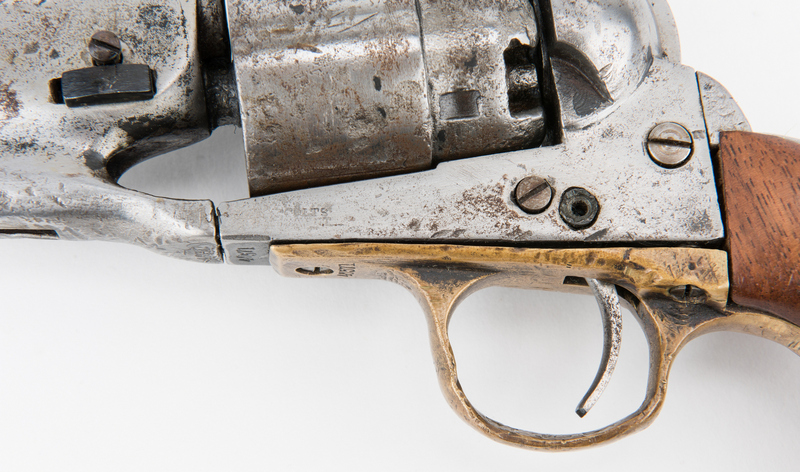 2nd item: Colt Model 1860 Army Revolver, .44 cal, serial number 46571, all numbers but cylinder match. Top of barrel with partially obscured marks "Address Col. Sam…", cylinder with partially obscured marks "Colts Patent", "PAT Sept 10th 1850". 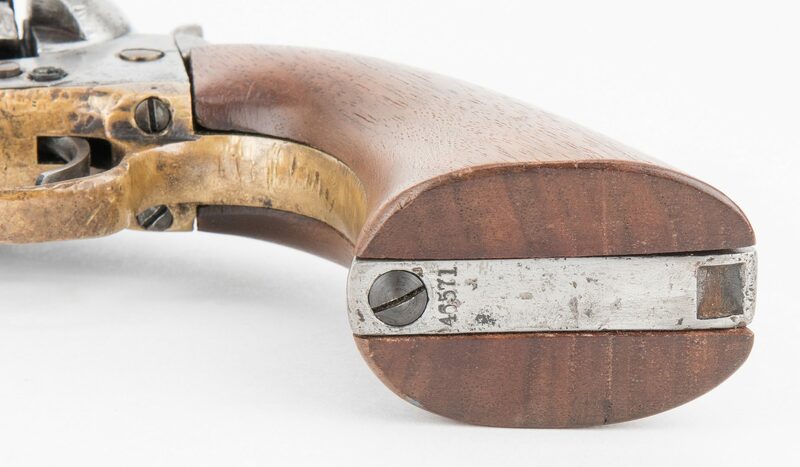 Walnut stocks, round barrel, iron mounted, brass trigger guard, checkered hammer. 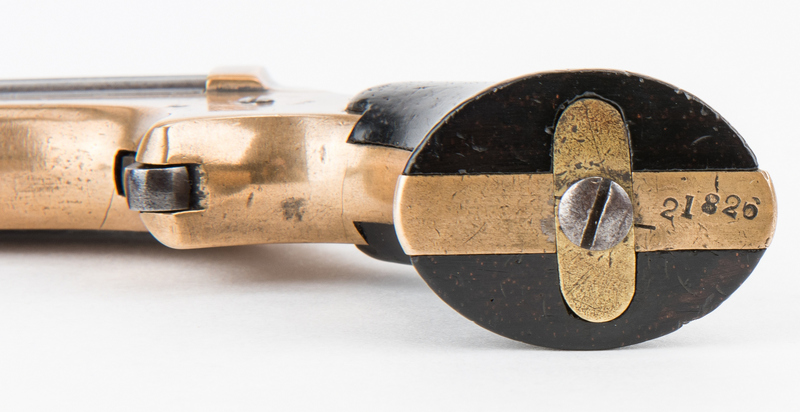 Barrel length – 8". Overall length – 13 1/2". Serial number 46571 corresponds to year 1862. CONDITION: 1st item: Action does not function. Metal and wood in overall very good condition. 2nd item: Metal heavily cleaned with numerous areas of pitting and dings. Replaced stocks and wedge. Replaced and missing screws. Loading lever is missing. Cleaned hammer. Cut for stock.